Thirsty Pilgrim: More People to Blame for the Westvleteren Phenomenon. More People to Blame for the Westvleteren Phenomenon. According to legends now shrouded in mist, the great Westvleteren beer was once a well-kept secret. Or at least it was easier for the few people "in the know" to get their hands on the stuff. Then one day, so the story goes, Ratebeer.com sprang up from the ground as if from nowhere. 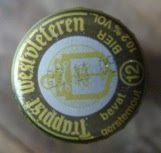 This site and its tickers proclaimed Westvleteren the best beer in the world. Suddenly the abbey had mile-long lines to get the liquid gold, which was going for $50 a bottle on eBay. The monks had to set up a (not so) complicated reservation system. The secret was out! Worst of all: the people who used to be in on that secret could no longer get their beer without a lot of trouble. Very annoying. Ratebeer, in short, ruined it for everyone. Anyway, that's the conventional wisdom. But that's a bit too simplistic for me. Boring! So I've thought of lots of other people and things for you to blame. Why not blame the monks for making such great beer and making it hard to get? Why not blame the fact that everyone loves a great story about a beer that's hard to get? Why not blame all the major newspapers for covering it every so often, because it makes a good story? Why not blame all the beer lovers who like that good story and want to get their hands on some? Why not blame Tim Webb for giving it five stars in his incredibly useful books? Why not blame Michael Jackson while we're at it, for initially getting beer tickers all excited in the first place? Why not blame the loudmouths who keep going on about it? * OK, I worry that future generations will think that Al Gore actually did invent the Internet, for all the cracks made about it. So listen here, future generations: Al Gore did not invent the Internet. Ratebeer did. 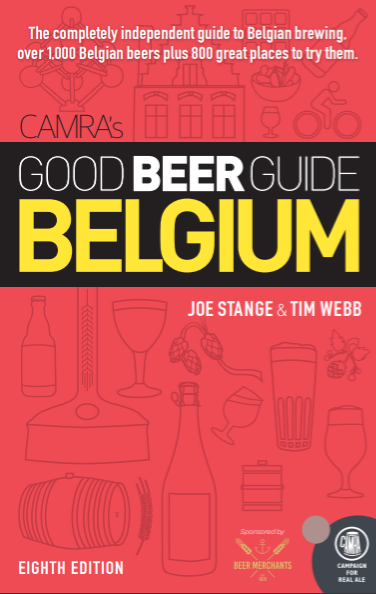 So Tim writes the books about beer travel in Belgium, we do the tours in Belgium so my opinion is based on that. Another theory, have you ever thought that the Trappiste 'movement' restricts supply on purpose? Supply and demand, after all they are commercial still! Guilty. Duly chastised. But still thirsty. Raise Your Glass to Session Beers. Mysterious Belgian Bar Snacks, Part I: Kip-Kap. Sour Ale and Shrimp Croquettes on the Coast. Me, Rad Brad, and Good Beer in Springfield, Mo. Around London in 1 Book. How to Get Westvleteren, the Holy Way. Promising New Brewery in Brel's Flat Country. Gueuze, Shellfish, and Other Perfect Marriages.